We are suppliers and installers of the highest quality ducted vacuum systems including BVC from Germany, Volta, Electrolux and Hide a Hose wall retracting hose systems. If you would like an obligation free quote for a ducted vacuum system in the home you are building all you have to do is email your floor plans to richard@staging-aaronknight.mystagingwebsite.com. If you are interested in replacing your existing ducted vacuum motor with a new powerful and quiet machine please contact Richard on 0419 428 100. Our service area is Sydney, Central Coast and the Blue Mountains. -Sydney Centravac can install a retractable hose in your home using the Hide a Hose system. The hose simply pulls out of the wall when you want to vacuum and retracts back into the wall when you are finished eliminating the problem of where to store your hose. This makes packing away after vacuuming vacuuming so easy. -All of our ducted vacuum systems are also available with adjustable power hose kits. Turning the power up and down is done by using the switch on the hose handle allowing easy vacuuming of all delicate items in your home. 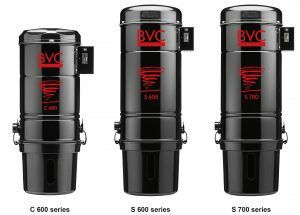 We sell BVC Centravac which are premium quality ducted vacuum systems made in Germany, Volta ducted vacuum systems which are made by Electrolux as well as Electrolux Oxygen ducted vacuums. All brands offer a range of machines that have excellent performance and reliability and are suitable for small to large homes to allow us to cater for all needs. At Sydney Centravac we will never sell you a ducted vacuum system that is not powerful enough for the size of your home. A ducted vacuum system is only worth installing if it provides you with excellent suction to make cleaning easier. We are proud of the performance of our machines and have all their specifications listed in our products pages.